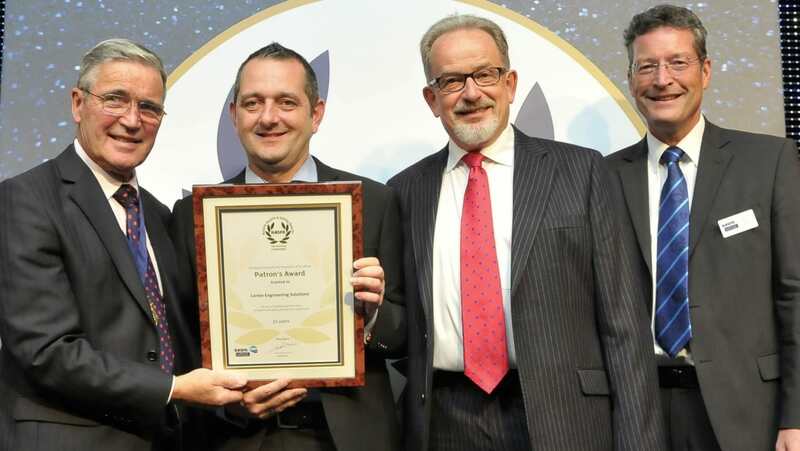 Lorien Engineering Solutions is one of only six companies in the world to be recognised with the inaugural Patron’s Award by The Royal Society for the Prevention of Accidents (RoSPA). RoSPA has marked its centenary by introducing the Patron’s Award, which it has presented to an exclusive group of businesses that have achieved consecutive Gold Awards for 25 years or more. The award was presented to the Lorien’s Health & Safety Manager Elliot Follows and Operations Director Bill Treddenick (pictured) at a ceremony in Birmingham. Only five other companies internationally were recognised with the Patron’s Award. They include Costain Oil & Gas, Hanson Contracting and Esso Petroleum. Burton-based Lorien was also presented with a Silver medal for its work in the Management of Road Risk (MoRR). Through the RoSPA Awards scheme, which is open to businesses and organisations of all types and sizes from across the UK and overseas, judges consider entrants’ overarching occupational health and safety management systems, including practices such as leadership and workforce involvement. The awards scheme is now in its 61st year. Photo courtesy of Lorien Engineering Solutions: (l-r) Lord Jordan of Bournville CBE, RoSPA Vice President, Elliot Follows, H&S Manager, Lorien, Bill Treddenick, Operations Director, Lorien, Errol Taylor, RoSPA Chief Executive.